It’s estimated that 220-250 million people worldwide have a food allergy, and this number is increasing as food allergies become more common. Eating with a food allergy in Berlin can be easy if you know where to look and how to communicate effectively. Most places will be happy to prepare you something, but it depends on how severe your allergy is as you may want to look for somewhere where there’s no chance of cross-contamination, such as a 100% gluten or dairy-free restaurant. 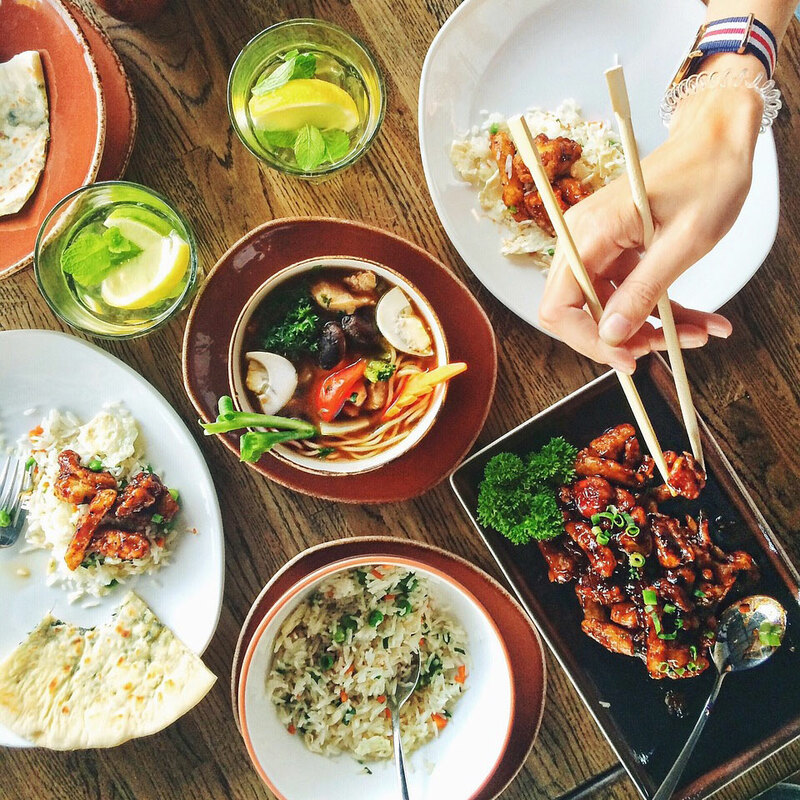 Dining out with a food allergy takes a little planning to make sure you’re accommodated for. Contact the restaurant ahead of time to see if they’re able to cater for you, rather than just turning up an hoping they can. If you’re not a local, it’s a good idea to learn some of the lingoes to effectively communicate your allergies. Looking online for allergen information beforehand can be helpful too. If you don’t feel that you’re being understood or taken seriously, then it’s best to find somewhere else where you feel confident that you won’t be served anything that can make you ill. Food allergies need to be taken just as seriously as any other allergy, such as a reaction to pollen, pets and household toxins. If you have an allergy to dairy, eggs or honey, the Happy Cow app or website can help. It’s primarily used by vegetarians and vegans but makes a great resource for people with allergies too. Happy Cow has an app and a website and can be used with or without an internet connection if you save your search for later. Enter your location and preferences and the app will bring up nearby eateries, such as restaurants, cafes and food trucks, along with allergy-friendly shops and much more, giving you reviews, photos, directions and a price guide. Dining out in any country with a gluten allergy or intolerance can be difficult and Berlin is no exception. Many places are starting to cater to better people with coeliac disease and those who choose to eliminate gluten from their diet. Cielo di Berlino offers gluten-free pizza with a base made from buckwheat flour. They even prepare gluten-free food in a separate area to minimize the risk of cross-contamination, making it ideal for the most sensitive of allergies. For German Stulle, soup and breakfast dishes, head to No. 58 Speiserei in Neukölln. Berlin is also home to gluten-free Indian cuisine at Chutnify and French cuisine at Suzette Crêperei. Having a food allergy should never deter you from enjoying great food, especially if you’re travelling and want to experience local dishes. A bit of planning, good communication and some research about where will easily cater for you is important to ensure your wellbeing. Berlin is becoming increasingly accommodating of food allergies, making it a great place to visit.